China: Global cyberattack claim "irresponsible"
BEIJING - A Chinese state newspaper on Friday rejected suggestions Beijing might be behind global cyberattacks over the past five years targeting more than 70 government entities, nonprofit groups and corporations. The ruling Communist Party flagship People's Daily said it was "irresponsible" to link China with Internet hacking attacks reported by computer security firm McAfee Inc. on Wednesday. McAfee's report said the attacks have targeted a broad range of organizations, including the United Nations, the International Olympic Committee and companies mostly in the United States. Some experts quoted in news reports said the targets of the attacks suggested that China was a prime suspect. McAfee did not say who may be behind the attacks but said the culprit is likely a nation state, a claim the Chinese newspaper criticized. "McAfee's new report alleges that 'a government' carried out a large-scale Internet espionage hacking action but its analysis of the justification is obviously groundless," the People's Daily said. China has not officially commented on the report but has denied all charges of hacking in the past and says the country itself is a victim of hacking. The newspaper said China is often accused of being the perpetrator of cyberattacks. The newspaper seemed to imply that the United States was a more likely culprit, pointing to media reports that the U.S. government openly recruits hackers  sending officials from the Department of Defense, Homeland Security, NASA and the National Security Agency to hacker conferences. The McAfee report comes shortly after South Korean officials said last week that a hacking attack allegedly originating in China resulted in the theft of the personal information of about 35 million Internet users there. China did not respond to the accusation. 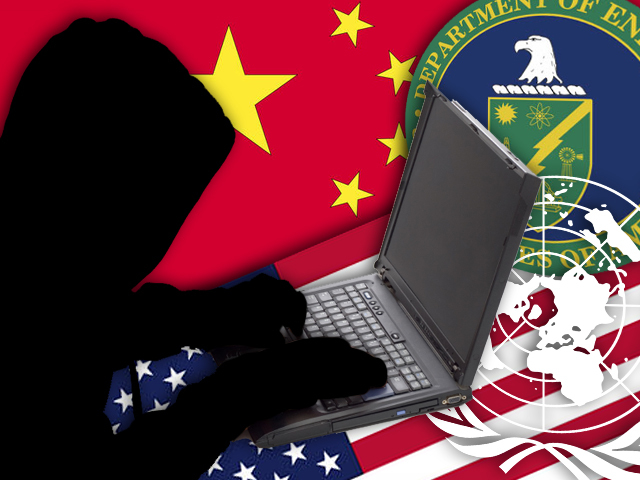 China has used more low-tech options in its arsenal for spying on the United States. Last August, CBS' Scott Pelley, now anchor of the "CBS Evening News," reported on rare video obtained by "60 Minutes" showing a Chinese spy buying secrets from a Pentagon employee. Citigroup, Sony Corp., Lockheed Martin, PBS and others have been targeted by hackers this year, but McAfee says the majority of those attacks have been "exploitations for the sake of notoriety" by groups such as Anonymous and Lulzsec. But the threats that McAfee's report focuses on are "much more insidious and occur largely without public disclosures," wrote Dmitri Alperovitch, vice president of threat research at McAfee and the report's author. He said the perpetrator is motivated by "a massive hunger for secrets and intellectual property."